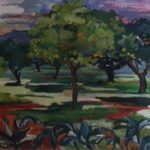 Hildegarde is primarily a “Colourist”. 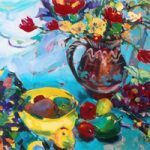 Her work is much influenced by her roots and she brings warmth and vibrancy into her paintings where with gay abandon uses colour and paint in a way that has been described as, “delightfully sensual”. 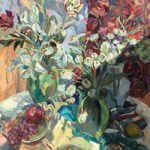 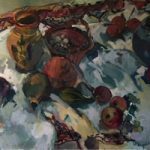 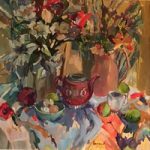 Whether tackling cluttered Still Lifes of everyday objects, or landscapes of Southern Africa and Europe, she delights in depicting the effects of light and dark. 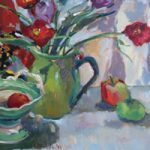 The “Impressionists” and “Scottish Colourists” have had a major influence on her work. 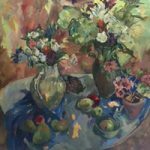 Although mainly an oil painter, Hildegarde also uses watercolour and mixed media. 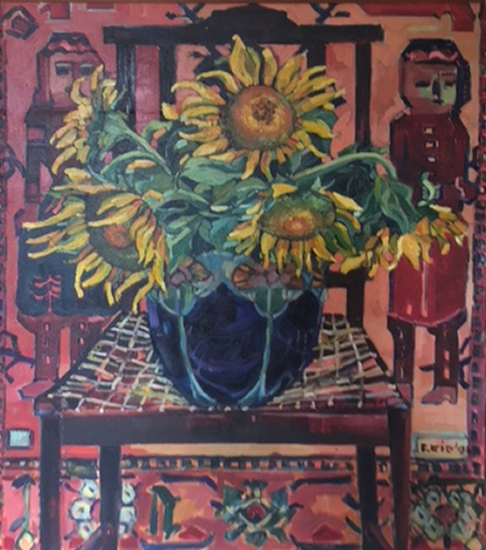 Hildegarde has sold to clients world-wide. 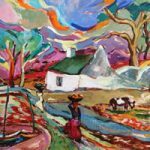 Her paintings are represented by Art Galleries in London and South Africa. 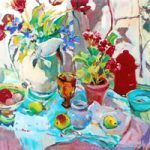 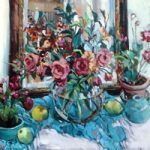 Her work is regularly exhibited with the Chelsea Art Society, and has been represented at the Affordable Art, and Battersea Art Fairs . 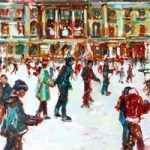 In September 2007 she was Guest Artist for “The Family Law in Partnership”, Bedford Chambers, Covent Garden, London, and exhibited in May 2008 hanging at the Royal British Artists Exhibition at the Mall Galleries, London. 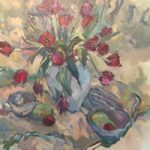 One of her works, “Daffodils” was recently auctioned at the Royal Academy on behalf of Marie Curie Cancer Research. 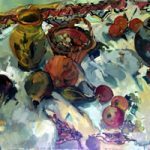 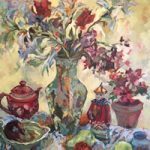 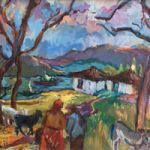 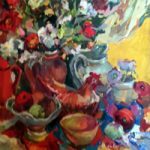 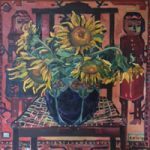 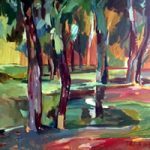 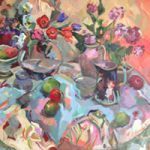 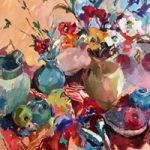 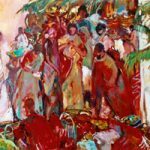 Hildegarde regularly runs painting workshops and demonstrations for a number of Art Societies and exhibits both in South Africa and England. 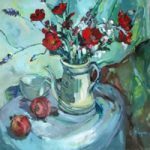 She has sold to clients world-wide. 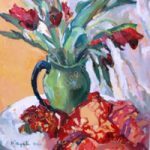 For the last four years Hildegarde has been a watercolour instructor for major Cruise Lines. 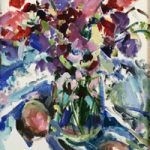 Hildegarde is a member of Molesey Art Society, Chelsea Art Society, Sunbury on Thames Art Society & Thames Valley Art Society and Weybridge Art Society.